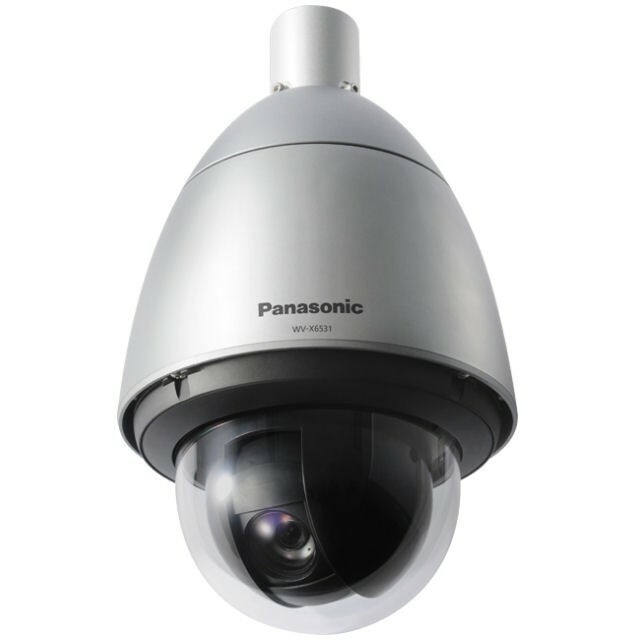 Panasonic is introducing a new network camera range, combining Full HD resolution with the latest Smart Coding technology, capable of significantly reducing storage and network bandwidth. This weatherproof PTZ dome camera is part of the i-PRO Extreme camera platform belonging to our new H.265 eco system, in addition to our Elite Range, which includes the top of the range CCTV cameras from Panasonic. The Elite Range go beyond traditional surveillance, not only to provide high quality footage, but also cost effective results to help save on the total cost of ownership of the security system. Moreover, the application of ClearSight Coating provides clearer visibility, allowing good security to be maintained even when the camera is installed in an environment subject to rain or water splashing. This application makes sure good visibility is kept even when water droplets splash on the dome cover; in addition the coating resists the attachment of dirt, therefore allowing the dirt to easily wash when exposed to water enabling a clearer view. Our unique ClearSight Coating is even touchable, making installation and maintenance easy to handle. • The function is built-in the camera. No additional server is required. *1/30 Fix to 2/120 Fix is available during 30 fps mode only. *1/60 Fix is available during 60 fps mode only. Super Dynamic*2 On / Off, the level can be set in the range of 0 to 31. * Smart Facial Coding is only available with Stream(1). * On(Advanced) is only available with H.265. *2 Super Dynamic function is automatically set off on 60 fps mode. *3 Stabilizer, Auto track, Smart Facial Coding, i-VMD, Vehicle Incident Detection can not be used at the same time. *4 If “0 °”, “–3 °”, “–5 °”, “–10 °”, or “–15 °” is selected, the area hidden by the camera housing may increase when the tilt angle of the camera is almost level. When “–15 °” is selected for “Tilt Angle”, the upper half of images will be hidden. *5 Transmission for 4 streams can be individually set. *6 Only use AAC-LC (Advanced Audio Coding - Low Complexity) when recording audio on an SD memory card. *8 The audio output can be switched to the monitor output. Refer to the Operating Instructions on the provided CD-ROM for descriptions of how to switch the output.